Once in a while our best laid plans go awry at the lake. For instance, from the time the lake was getting rejuvenated in early 2010, we had reserved a prime space for a Red-Silk Cotton tree (Bombax ceiba). 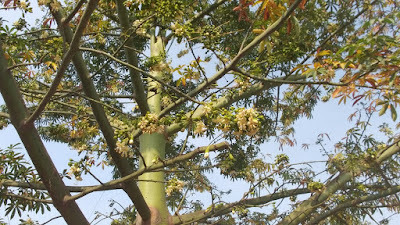 It is deciduous but the flowers more than make up for the absence of leaves. The beautiful bright red flowers attract birds in hordes. They visit not just for the nectar but also for the water that collects in the cup like flower. But it seemed impossible to get a sapling. Finally, Mr. Ramachandran, a regular visitor to the lake got us a packet of seeds from the Forest Research Institute, Dehra Dun! By the time it flowered, it had already become a young giant. Apparently, the Kapok tree can grow up to 150 ft! Fortunately, the space should be enough. Let it grow and flower all it wants. We've shifted our hope to another silk cotton we'd planted some years ago. It is yet to flower. 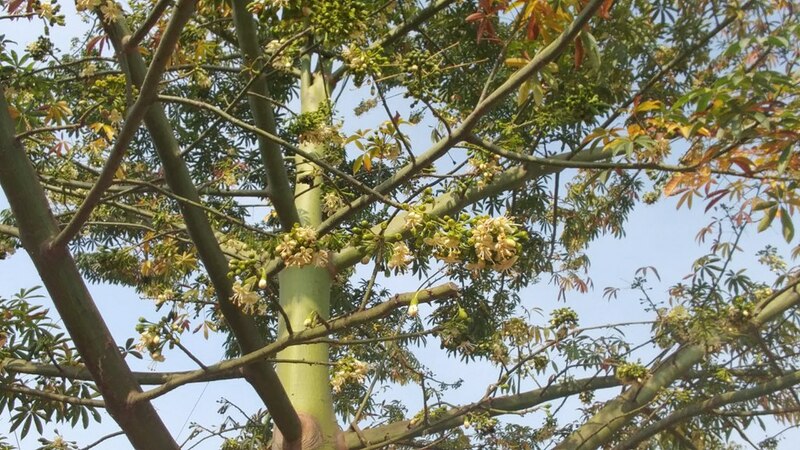 To be on the safer side, Mr. Ramachandran got another batch of seeds, this time insisting on Bombax ceiba. For want of space, we have kept the seeds safe. Space constraint for trees led us to think of planting vines. Climbers on the fence, we knew, would invariably flower outside and not share their glory within the premises. We decided to put up a pergola. Out of three designs, we chose one by Mayapraxis. Grants from Misys and VMWare gave us a pergola that, by the looks of it, will outlast even the youngest among us, trustees. 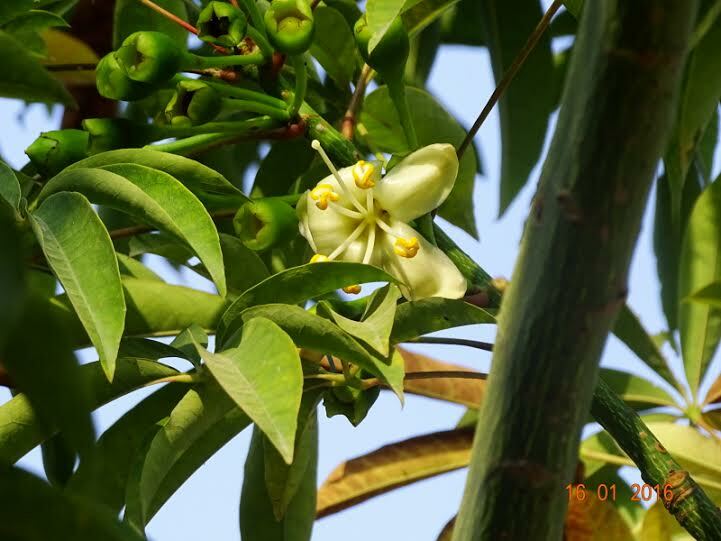 We needed three species of climbers which Nupur and I chose and planted in Feb. 2018. Her favourite was Passion flower (Passiflora incarnata, "Kaurav Pandav") while mine was Indian Clock vine (Thunbergia mysorensis). Our mutual preference was for Clematis terniflora (Sweet autumn clematis). To my delight, the Clock vine quickly climbed and began to spread. Exactly as we had imagined, the flowers drooped from the height but they were red and small, not shell like maroon and yellow! It was Thunbergia all right but coccinea not mysorensis! We recover from these googlies quickly because, well, one beauty is replaced with another. It is not so easy to reconcile with shocks humans give us. Recently a gentleman telephoned and posed question after another. The only one for which I had no answer was this: "But why do you want birds at the lake?" Eco India is a collaboration between Scroll.in and Deutsche Welle news channel. Starting this week, Eco India brings you stories of innovations from across India and Europe, and the people who make them possible. The top story this week looks at how citizens in Bangalore are coming together to replenish and revive the city's lakes. Puttenahalli Lake is featured in this episode. 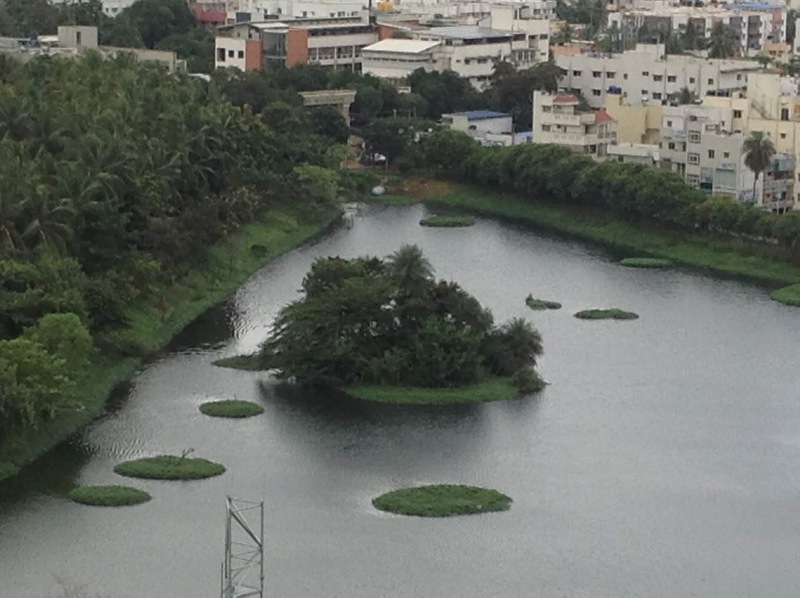 Many thanks to Scroll.in's researcher Aditi Rajagopal for the interest in Puttenahalli Lake, and to photographer Omkar Phatak who makes all the lakes look spectacular. Deutsche Welle broadcast this shortened episode yesterday, and it can be seen here. The full episode can be seen on youtube here. The overcast weather kept most of the interested volunteers away from the lake last Saturday, which was our monthly Family Gardening Day. 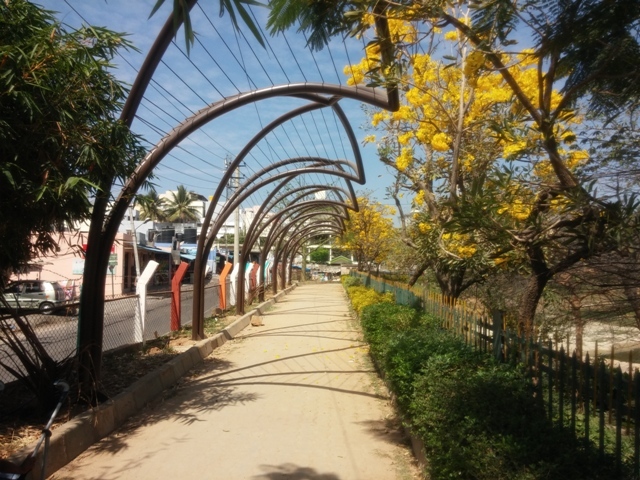 But it did not deter Mrs. Vijayalakshmi, a young at heart senior citizen residing in the neighbourhood. She came on time and worked through the drizzle till 11 a.m.! "I went home feeling refreshed and relaxed. Picking up dead leaves, digging the soil, trimming hedges and just gazing at the turning colours of the lake on a rainy day are great stress busters! I would recommend this for all the senior citizens here. It's a cure for all old age ailments." Thank you so much dear Vijayalakshmi. We wish to see you again and again! And to those who couldn't make it, do join us on 3rd November, the next Family Gardening Day at the Lake. 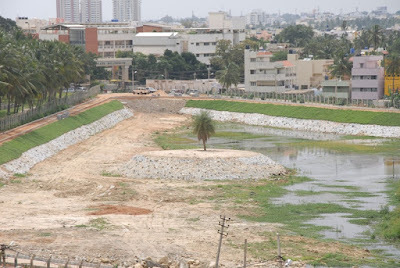 Quite often we tend to forget how our Puttenahalli Lake looked. I remembered while browsing through old photographs for a presentation. 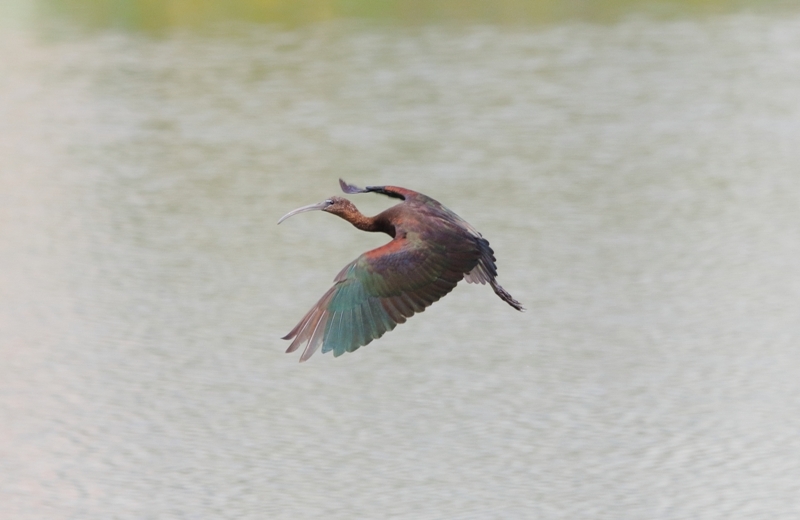 On behalf of PNLIT, I have been invited to give a talk on our conservation efforts tomorrow, 6th October, at the Bengaluru Bird Day 2018. See how the lake has transformed in eight years. My topic is "Batting for Birds at Puttenahalli Puttakere"
Please visit https://birdday.in to see the detailed schedule.